+ More characteristics : Terminaison du boîtier : alterné poli et satiné. Couronne de correction heure et date à 3H Chronographe : Heures. Minutes & Secondes ; Boutons poussoirs Start/Stop à 2H. Reset à 4H. 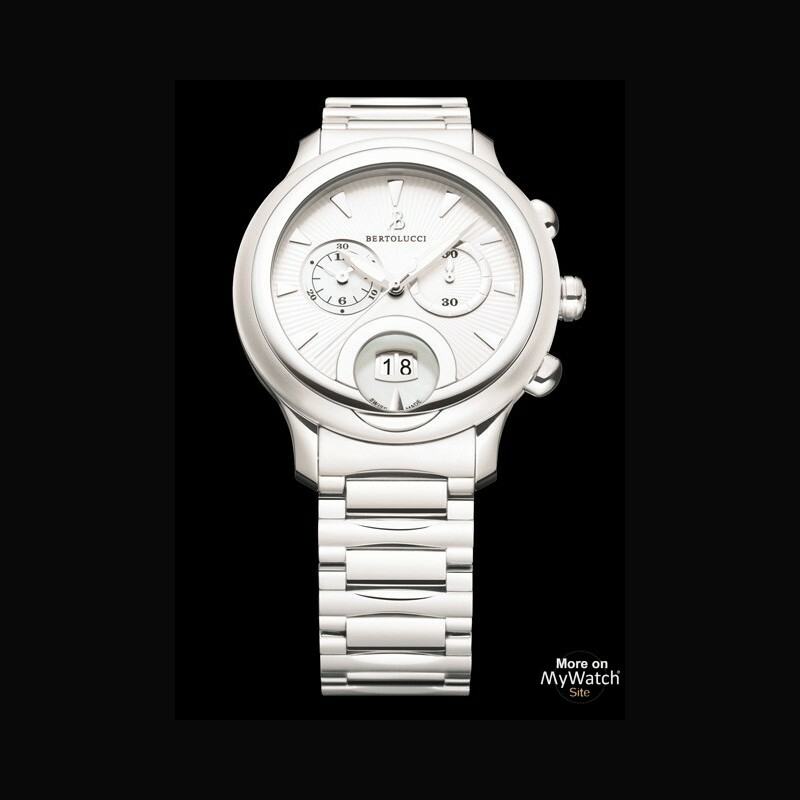 Opalin argenté blanc guilloché soleil avec un compteur date en nacre blanche. 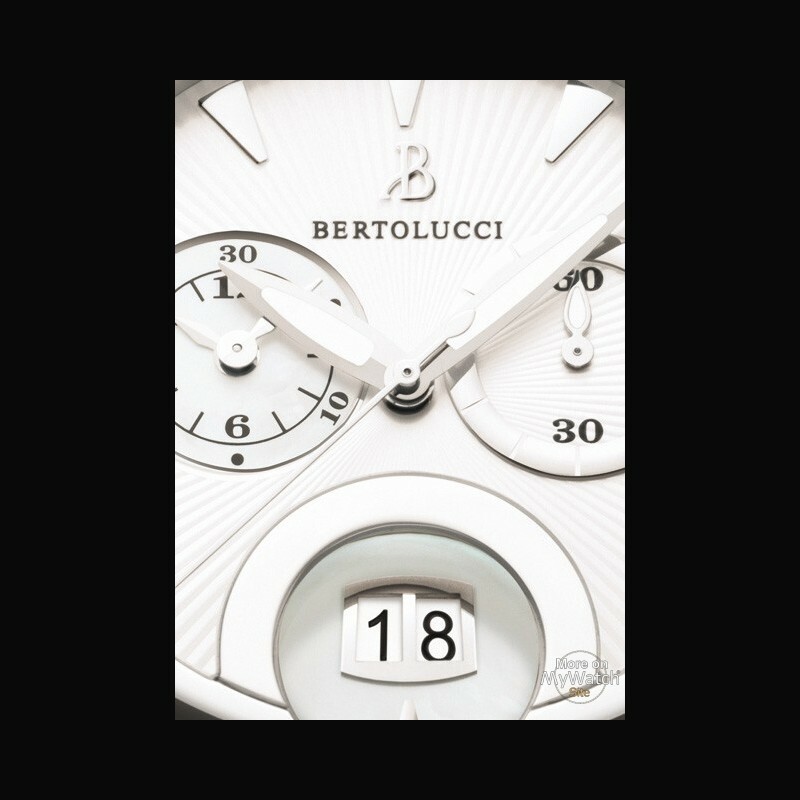 Each year, Bertolucci makes way for new creations that show the 4Cs, the very essence of the brand, in all their splendour. Creativity, Curves, Comfort and Construction. 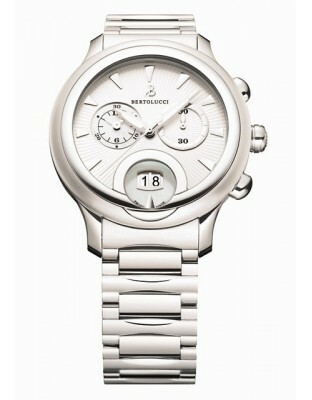 In keeping with Bertolucci’s Casual Chic collection, classic, timeless lines feature bold and original designs. A mixture of elements from various influences come together to form a new image, where casual, elegant and natural styles complement one another. Both simple, sophisticated, refined and « trendy », the Casual Chic collection can be worn for any occasion and will captivate modern and elegant women looking for a unique design. Bertolucci’s latest creation, GIRO, is typical of their Casual Chic style characterised by simplicity and elegance for everyday luxury. 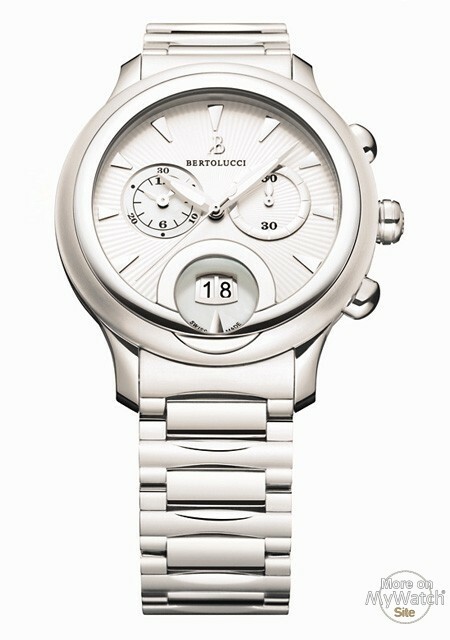 The classic round shape is revisited with an original touch… so Bertolucci! Available in stainless steel or in 18-carat pink gold, the bezel forms a loop reminiscent of the ripples left by a stone skimming across the water. 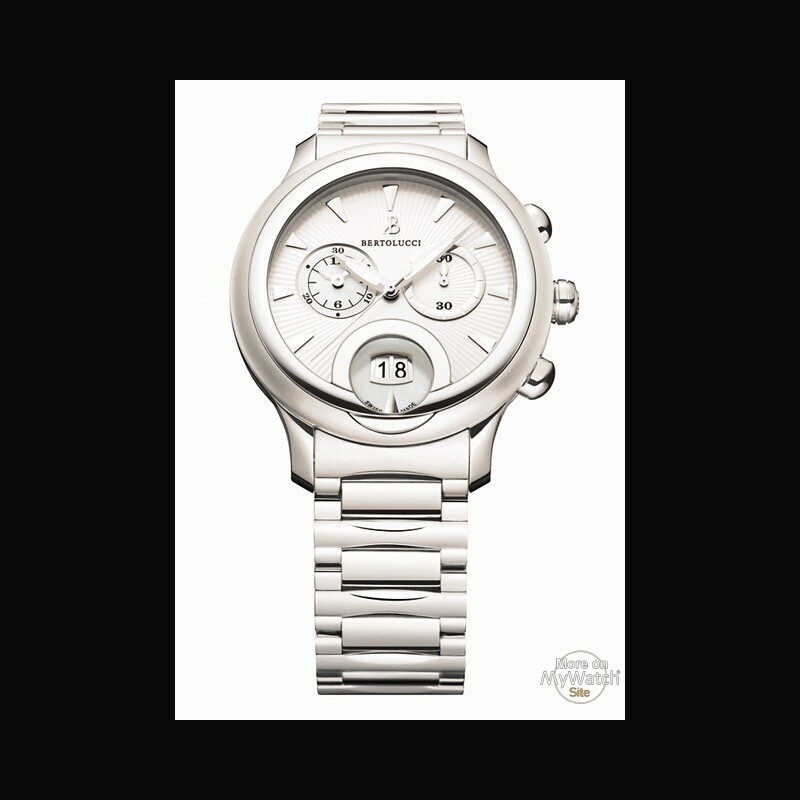 Designed for men and women, GIRO comes in a large selection of movements and with different combinations of dials and finishes according to individual choice. Since it has been produced in its purest form with 3 steel quartz hands, GIRO can be jewellery in sparkling diamonds, opulence in rich pink gold, and takes on a traditional or sporty look depending on its calibres and dials. Simple and subtly unique at the same time, GIRO is a contemporary and timeless collection that looks good and whose simple elegance means it can adapt to any situation at any time of the day. Part of the new Casual Chic line introduced in 2009, GIRO plays with materials, finishes, dials and movements covering all styles and catering to all tastes. Its chic, classic design holds precious dials which bring to life opal and natural pearl, décors and guilloches and reflections of applied indexes. Men and women alike will be seduced by the simplicity and elegance of GIRO’s lines, by its unique original touch, by the comfort and flexibility of the traditional 3-row metal strap. The automatic models feature a skeleton back whose sapphire crystal reveals the movement. An innovative feature of the automatic chronographs is the turning disk displaying the hours of time kept by the chronograph, replacing the sub-counter hand at 6 o’clock. More characteristics : Terminaison du boîtier : alterné poli et satiné.